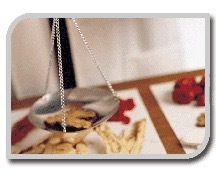 Each client will be assessed by our doctors and a treatment program and TCM medications will be prescribed. Below we have listed the three most common types of treatments. Others will be ordered based on the clients physical and medical needs. An aggressive and deep therapeutic massage and ROM that stimulates the sensory nervous system, increases circulation, cellular communication, neural flow, body balance, and decreases muscle tension & rigidity. Western Medicines are chemical formulations that are designed to manage symptoms associated with hypertension, hyperlipidemia, arrhythmias, diabetes, etc. ​Traditional Chinese medications are natural and effect cures in Hypertension, hyperlipidemia and diabetes. They improve the body balance, harmony of the body., Improving the overall "Qi" and blood circulation.. All currently prescribed western medication ordered to date is continued, monitored, and evaluated for efficacy. The utilization of acupuncture needles (head, neck, face, limb, and torso) to stimulate the sensory nervous system, increase circulation, cellular communication, neural flow, and achieve body balance and healing.